I know Facebook has become the new king for communicating but some of us still like the older ways of chatting on our PC's. I like free software, who doesn't? 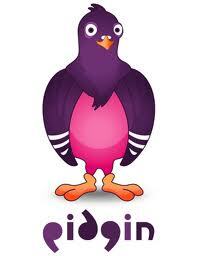 Pidgin is an open source project that has been around for many years. Pidgin is probably right up there with Total Commander when it comes to bland looking software. It does the job with no glitz. It supports an array of IM protocols including Google Talk, AIM, MSN, ICQ, Yahoo and many others including Facebook (plugin). Pidgin is lightweight on your PC. It also supports logging of all chats. There is a good amount of configuration options to make it work the way you like. My only gripe is Pidgin has no forum discussions, instead it uses a mailing list and IRC for support, that's pretty old for today's way of help.